It never gained the popularity of Atkins and other diet fads of the past few decades, but that probably has more to do with its palatability versus efficacy. Something like Atkins was so popular because, well let’s be honest here… it didn’t require real sacrifice. Yes, you had to reduce carbs, but you could go on eating all kinds of other unhealthy crap on a daily basis. Contrast that to the diet of an Okinawan, which involves a real lifestyle change of what you eat. The plan was popularized in the early 00’s thanks to the New York Times bestseller The Okinawa Program: How the World’s Longest-Lived People Achieve Everlasting Health – And How You Can Too. But unlike Atkins, it’s not just as simple as buying low carb pasta and still indulging in that big plate of spaghetti marinara drenched in olive oil, with a mountain of big fat meatballs and shaved Parmesan on top. This Japanese-inspired diet requires discipline and most people just don’t have that… or at least, they don’t until a health scare forces them to have it. 1 What is the Okinawa Diet? 3.7 Missing food groups and unexpected nutrient sources? 7 The best modern version? Okinawa is a 466 square mile island in the Pacific Ocean, 400 miles south of Japan. The current population is around 1.3 million people and up until recently, the average life expectancy of Okinawa residents was 81.2 years, which was the longest in the world (1). What the Okinawa diet plan attempts to do is mimic the island’s traditional foods and eating habits, before it transitioned to the Westernized diet late last century. 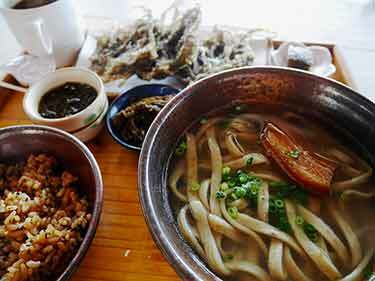 Unlike mainland Japan, the Okinawan diet consisted of relatively little fish and seafood. However, seaweed (kombu) was heavily consumed. In the attempt to replicate the native diet, many fallacies and misconstrued snippets of information have led to a pseudo-style which may be healthier, but often times is a far cry from the original diet. To give you an idea of how ridiculous some of the current beliefs are, there are relatively large news websites who have reported that the average lifespan of Okinawans is 110 years (some sources even cite 116 years). Sorry, but there is not an island on earth of 1.3 million people who live to be an average of 110 years old. Our only guess as to where they could derive such bogus statistics is a figure about the oldest centenarians on the island. Perhaps what their average life expectancy has been after they reach 100 might be a feasible origin for those erroneous factoids. Whatever the case, it goes to show you how this diet is so misunderstood and hence, why it’s no surprise that so many people have the Okinawa diet menu just plain wrong. The Okinawa Research Center for Longevity Science (ORCLS) is a non-profit organization whose researchers include the three authors of the bestselling book on the topic; Dr. Bradley J. Willcox, Dr. D. Craig Willcox, and Dr. Makoto Suzuki. They also authored The Okinawa Diet Plan: Get Leaner, Live Longer, and Never Feel Hungry. Additionally, in some capacity they are or were involved with Okinawa Diet NPO (2). It is unclear if this is merely an educational arm of ORCLS or a totally separate non-profit organization. Since the domain’s WhoIs information has been masked as private and it appears the website hasn’t been updated in nearly a decade (since 2008), it’s hard saying if they’re even still active. 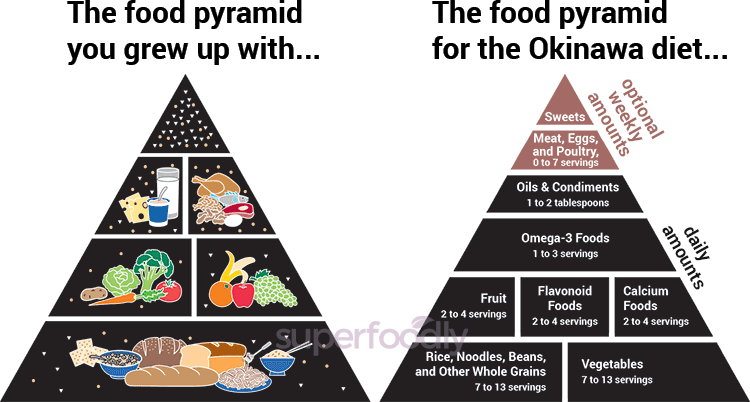 Whatever the case, they did publish an Okinawa food pyramid on their website. Using the information they provided, here’s how we compare what’s in their dietary guidelines pyramid versus the old school USDA food groups you probably learned in elementary school. Again, the pyramid on the right is based on what we found on the NPO website, which also promotes the aforementioned meal plan books. What the pyramid depicts is mostly a plant-based diet, however it is not vegan since there is still lots of fish and other animal-based foods. The categories of featherweights, lightweights, middleweights, and heavyweights are used to describe the calorie denseness of foods in the Okinawa plan. In summary, you can eat vast amounts of the featherweights and lightweights since they contain very little calories (i.e. vegetables). Meanwhile the heavyweights like peanut butter, bacon, and cheddar cheese are frowned upon since they are so calorically dense… which means you have to eat a LOT of them to feel full. Unlike the old USDA pyramid (which isn’t even used anymore), the Okinawa pyramid lists meat, eggs, and poultry in an optional category and the number of servings reported is a weekly vs. daily number. Contrast that to what the U.S. government has peddled – thanks to dairy and meat lobbyists – that we should eat boatloads of those foods if we want to be strong and healthy. While there isn’t anything inherently wrong about this pyramid, its broad serving ranges leave room for a “pick and choose” meal plan which ends up veering quite far from what the research suggests the islanders ate up until 50 or 60 years ago (more on that in a minute). We applaud these doctors and their books for what they’re promoting, but our guess is that they had to do a bit of “watering down” in their advice, in order for it to be more acceptable to the masses. There’s nothing wrong with that – and some dietary change is certainly better than none – but if you want to remain even more true to the islanders’ original diet, then keep reading. Depending on the source you reference, the list of foods found in the diet will include the following items (3) (4). However many were in minuscule quantities and not eaten on a daily basis. Soba is actually the Japanese word for buckwheat, which despite its name, is actually in the same family as rhubarb and is not related to wheat. 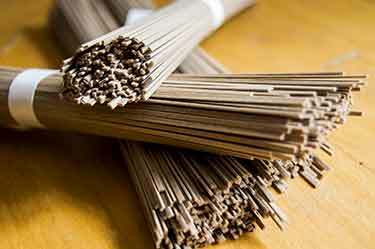 Traditional soba noodles are gluten free, however the pre-made varieties you can buy at the grocery store today are usually a mix of 50% buckwheat and 50% wheat, because diluting the ingredient with wheat makes it cheaper to produce. With the exception of seitan (which not all sources even reference), the Okinawa diet consists largely of gluten free ingredients. Soy foods in particular are very important and consumed on a daily basis. The authors of The Okinawa Diet Plan have stated that the islanders ate more tofu than any other culture in the world, even more than mainland Japan, the Chinese, and other Asian countries. pork – all parts of the pig, including the internal organs. While the pig is highly prized, limited supply meant pork meat was rarely consumed. The most common recipe may have been soki, which consisted of stewed pork spare ribs with their cartilage still attached. Missing food groups and unexpected nutrient sources? One thing you may notice missing is dairy. Until post WWII when the island was Westernized, dairy foods like milk, cheese, and cream were rare. Likewise for eggs. You may be wondering where did Okinawans get their calcium from then? Vegetables! Thanks to the milk industry’s marketing, many Americans believe milk = calcium. The truth is that many vegetables rival and even exceed the calcium concentration of milk, especially leafy greens and legumes. For example according to the USDA National Nutrient Database, a cup (8 ounces) of cow’s milk with 1% fat contains 314 mg of calcium (6). 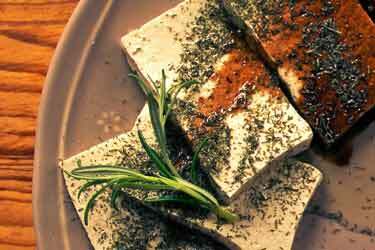 Contrast that to a quarter block of hard tofu which has more; 421 mg of calcium (7). As far as omega 3, obviously fish is an excellent source of EPA and DHA. Though many people are unaware of the fact that fish do not produce EPA and DHA themselves, as they get it from the seaweed they eat. Yes that’s right, vegan omega 3 is technically the original source for those nutrients, since fish are getting it from the algae, kelp, and marine plants they eat. As far as land-based sources, plants like flax, chia, and others produce the ALA form of omega 3, which our body then converts to EPA and DHA. The problem with the recently created pyramid is that it leaves too much room for deviation. By going with the upper serving limit (7 per week) for meat, eggs, and poultry, it would mean you could theoretically be consuming them everyday. On the aforementioned Okinawa book website, they show graphics of fish in the omega 3 and calcium food categories. Cheese and yogurt are also shown for calcium. In fact, only 1 out of the 4 foods they show for a calcium source example is plant-based (broccoli). Of course the food images are only examples, but if you were to follow their ratios (of plant vs. animal foods) you could end up with a largely Westernized diet and still be abiding by the pyramid. We’re not saying it wouldn’t be healthier than what the average American eats, but the historical data suggests it might be a far cry from the real Okinawa diet. Did the Okinawans really eat lots of fish? How much meats and dairy were they eating before being influenced by the Westernized diet? 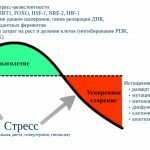 How and why do we know that? Because after World War II, the U.S. controlled Okinawa. It was returned to Japan in 1972. In 1949, which was four years after the war ended, the daily diet of 2,279 average native Okinawans was analyzed and recorded (8). The results you see are reflected above and contrary to what the food pyramid allows, as you see the intake of fish, meat, eggs, and dairy each represented 1% or less of daily calories consumed. It’s also worth noting that zero pickled vegetables were consumed. Lately, pickled cabbage and kimchee have been touted as superfoods by many health-oriented restaurants due to their probiotic content. 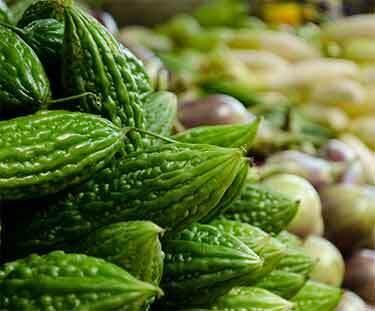 Though they seem to ignore the research which has suggested that pickled foods may increase the risk of gastric cancer (9). 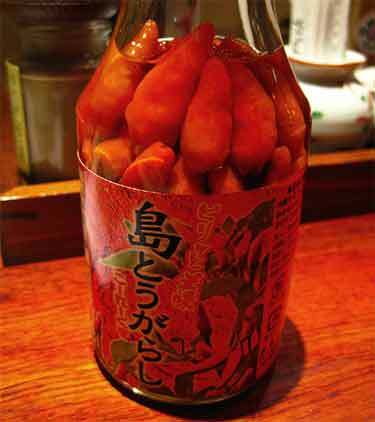 The data suggests that indeed, Okinawans did have lower rates of gastrointestinal cancer – 50% less than what was seen in mainland Japan, where pickling is quite popular. We learned that fact thanks to Dr. Michael Greger. This also goes to debunk the belief that it is the Okinawans genetics which are causing them to live to 100 (or a long time) and be skinny. 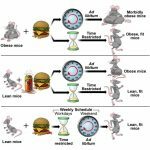 Since adapting the Western diet, not only are they fat, but their famed longevity benefits have now disappeared. 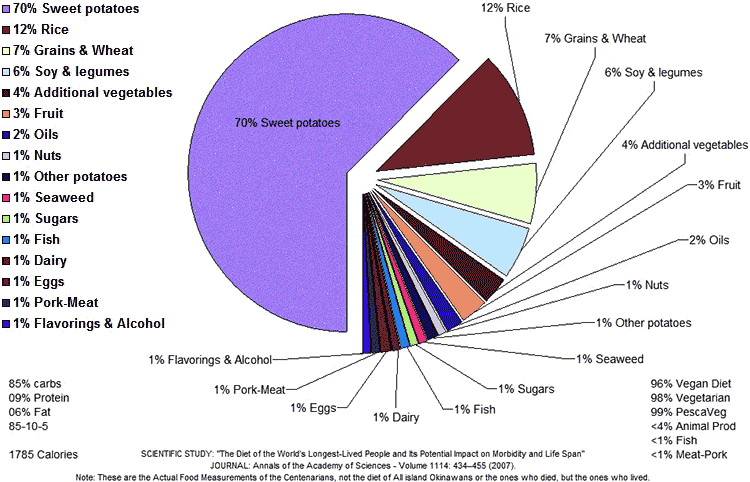 Yep, over 70% of their daily caloric intake is coming from purple yams. That certainly is not the advice you would be getting from Atkins! 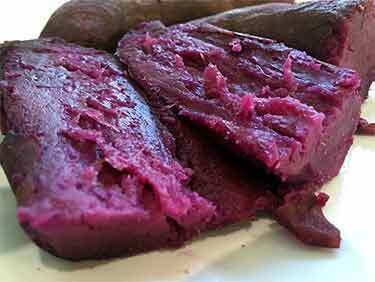 Even though they’re high in carbs, purple sweet potatoes have a high ORAC value (meaning they’re rich in antioxidants). We are unaware of a reputable source for their glycemic index (GI) rating, but they are believed to be relatively low GI foods based on how the more common orange sweet potato performs. Cutting out refined sugars as much as your willpower allows. For your carbs, choose those which are lower glycemic. This naturally entails less processed foods and more emphasis on whole foods with complex carbs. Going vegan doesn’t mean you will be 100 years old when you croak, but statistically speaking, the diets and cultures around the world who have had the highest number of centenarians were substantially more plant-based. 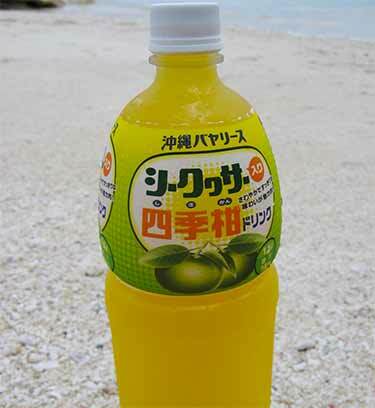 With the Okinawa in particular, it’s also a low-fat diet which rarely involved nuts and oils. The Okinawans had a rule called “hara hachi bu” which meant you should only eat until you are 80% full. Their average number of calories consumed per day was only 1,785. They didn’t starve themselves though, actually quite the opposite, as the “featherweight” diet foods allow you to stuff yourself while consuming very few calories in the process. A calorie restrictive diet like this is perhaps the only thing which has been proven to slow aging in numerous studies. Research suggests that one supplement in particular, nicotinamide riboside, might have the same effect on your body even without calorie reduction.